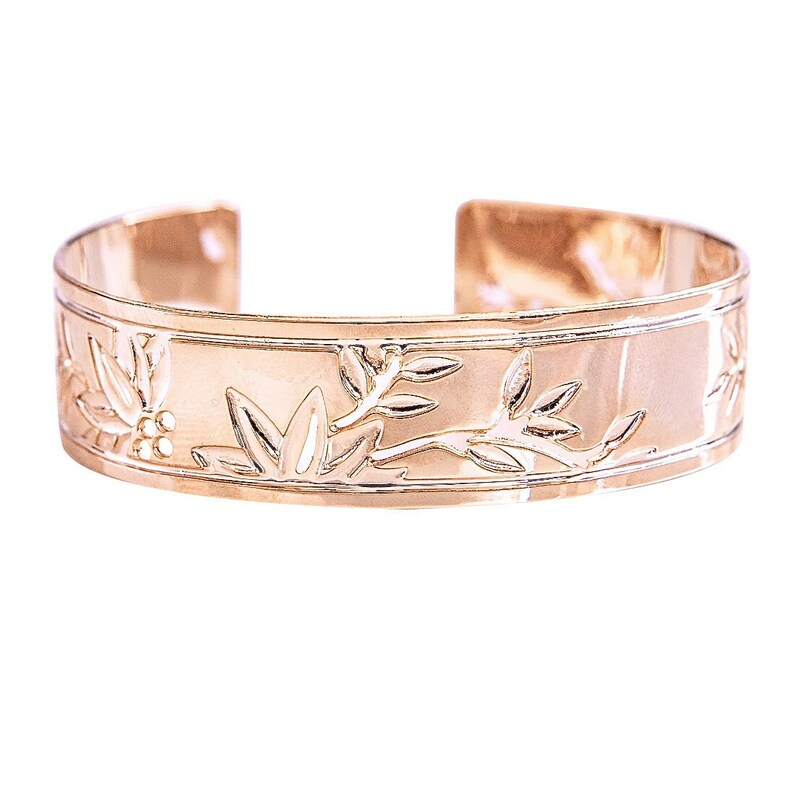 Rose Gold cuff with a orchid floral design, 1/2 inches wide (tall) and 6 inches around, with a 1 inch opening. The cuff has some adjustability and flexibility. Made from Rose Gold plated brass. This cuff is so beautiful, it has a Zen aesthetic to it, it's so clean, modern and feminine. It's truly one of my favorites from the thin cuff collection! It is a beautiful bracket !